As I was driving to Defiance, Ohio, I saw a sign for ‘Independence Dam’. I thought that might be interesting so I took a short trip on a side road which ran along the Maumee (I think) river. I didn’t make it to the dam because it was in a state park and I didn’t want to pay an admission fee. 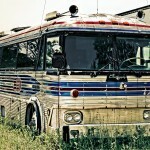 However, along the way I noticed this junk/repair yard which had this bus sitting out front. I just had to stop and take some pictures. 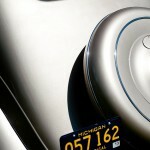 Every year the Detroit Institute of Ophthalmology holds a benefit car show called Eyes on Design. The event is held at the Edsel and Eleanor Ford House in Grosse Pointe Shores, Michigan. What I like about this event is that it always has an interesting collection of automobiles. Each year the event has a particular theme. This year is was on automotive design: past, present and future. I’m in the process of integrating my various web locations in to a central, Wordpress managed, location. The idea is that it will make my life a lot easier if I’m able to do almost everything from within Wordpress, instead of doing raw HTML for my portfolio pages, Blogger for my blog, etc. I’m still pulling together the various components, but right now I have my image portfolio and blog integrated and served via Wordpress. In the future I hope to add the content of my Image Notebook blog to this site as well. I also hope to integrate my ImageKind store into the site as well. Currently the ‘purchase’ link just takes you to my ImageKind page.